Transmitters, receivers and everything related to these. A few months ago FrSky announced about coming release of transmitters. 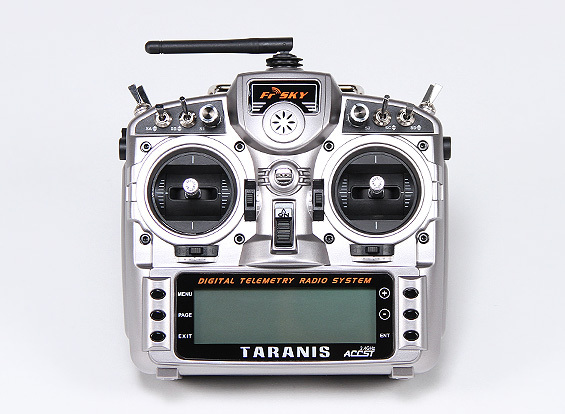 Yesterday HobbyKing started the sale of FrSky TARANIS X9D with a very wallet friendly price tag. Our website has a buddy code available for this item using one you can save extra $10. Plus you are getting a carrying aluminum case. All you need to start using this system is pick the receiver you like from the variety of FrSky X, D or V8-II Series.